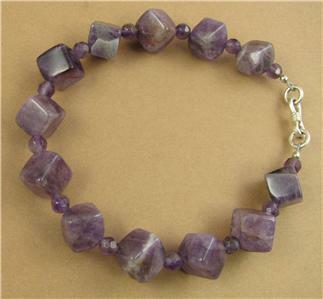 Home › Bracelets › Amethyst cubes/squares bracelet. Fine and sterling silver. Handmade. 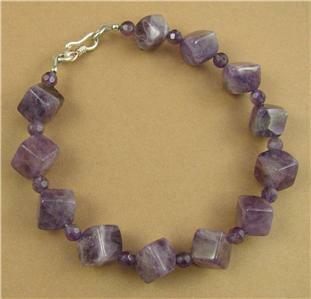 This is an amethyst bracelet with an unusual cubes shape. 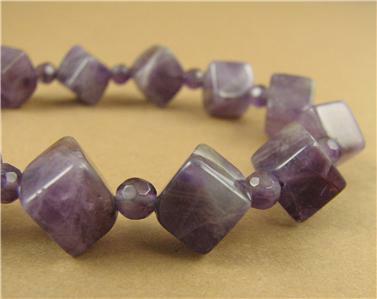 The stones are natural variated amethyst which means that there are natural attractive flecks of white inside the purple. 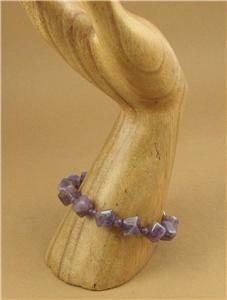 The stones have been cut into an unusual and striking cube shape.The catch is extremely pure solid fine silver (98%). The 2 tiny finishing beads are sterling silver. 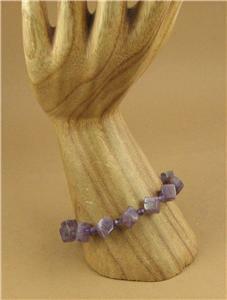 The length of the bracelet is 7.75 ". 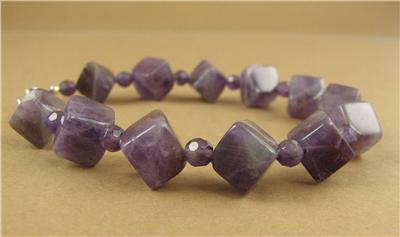 It is slightly longer than usual to allow for the depth of the stones. I can alter the length if needed.